We have worked with many producers and songwriters (eg. Maartin Allcock from Jethro Tull and Fairport Convention). We record and mix adding the typical analogue punch due to our SSL frontend. We also produce and arrange music and we have several professional musicians that can record on your songs. Professionalism, fun and music are mixed together, it's amazing! Fantastic instrumentation and rooms ideal for music. I was at Circus for three and a half weeks in early summer and I loved it. I look forward to getting the opportunity again one day. Great sounds, great team, great local musicians and a great little verandah café/bar across the street with an amazing view! Quality and great hospitality from a very welcoming staff , that is certain to work hard on a professional product . Dope!!!! Professional, quality service Highly recommend . Circus Studios is the best place to express their soul through music... A magical place where the main ambition is the excellence of the sound...I recommend it everyone... Good job! I recorded flute and sax in Circus Studios and I just couldn't ever been more pleased about the professionality and the passion of the whole staff! They just want to be perfect, so as you enter the studios, you become part of the family. The sound of the rec room is amazing and natural and they can indulge any crazy request you can do. Love it! I knew the studios thanks to my job as a guitar teacher at Accademia Lizard located at Circus Studios. 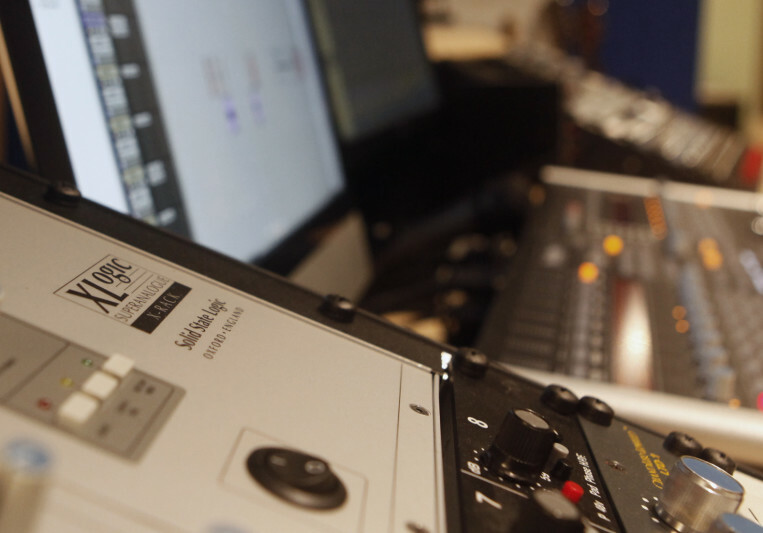 High quality gear, experienced and professional staff, control room and recording rooms are fabulous. Great Studio. Top quality equipment and professional staff. Circus Studios are great! I definitely recommend them. Great recordings, great quality of the productions and mixes! It's always a pleasure to work with them. Very professional, cooperative and friendly. Amazing quality! I totally recommend Circus Studios for your works!!! Thanks to Circus Studios and its owners you can get a real fresh start.. They feel what you feel, listen to your music and understand all the ideas.. to create a new world rich in quality, sound and news!!!!! I have been exciting of working with them.. and they were amazing! study to Circus Studio of Naples from January, I have found a property where you can learn how to make music in a warm and welcoming atmosphere. I recommend it to those who still love music in its purest form! Circus studios has the best way to make people express themselves through singing and playing instruments. The kindness of the owners makes it be the best place to spend time at, with the best people. A: They want to use some stuff instead of another, I mean outboards and so on, we answer to trust us and judge at the end of the job, then we can change whatever we want. A: Usually they think we can do miracles. Yes we can go really close to it, but give us also something good to work on! A: Listen to the sample, if they are right for your ears that's a good start! A: As we said before we try to give something more, something you cannot reach with a total in the box mixing that you can do also at home, without paying any money. We think it's very important. A: We use SSL Nucles as the frontend, with its preamp. The interface is an Universal Audio Apollo, with RME converters, so that we can have 18 analog input and 24 analog output. This is necessary to add, in the mixing, a lot of outboard gear though the insert in Pro Tools. All our mixes are colored through SSL G Bus Compressor, Chandler LTD1 eq, DAV Preamp, 1176 wa compressor, Aphex Aural Exciter, Eventide Eclipse, Api 512, 525, 550b, Elysia stereo compressor. We also have a lot of microphones and instruments we can use during the recording of mixing session. You can watch to the site for a full list. A: To do our best to reach what they have in their minds. A: Let me listen to something you like. A: The UA Apollo, Speakers, SSL Nucleus, Akg c12 and a couple of Neumann km 184. That's all we need! A: we're doing this since 1997, so it's a pretty long time now. A: Maybe a little vintage we try to work for the music instead of the perfection. A: We respect every musician since nowadays it is very difficoult to try to produce music and let the people listen to it. So every client for us is the person we want to work with. A: We often read about 5 tips to do something or 10 tips to avoid errors and mistakes, We think we have to use our ears first of all. A: We think it's a good taste for music. A: We speak a lot to our clients to understand what they want to achieve, also giving us some song, sounds, or whatever as a referral for our work. Then we try to give our signature sound, it's very punchy, glued, warm sound. A: Steve Albini is one of our favorite, but we listen to a lot of different things so that it's not possible to enlighten few of them. A: We mostly work for rock, pop and folk band. We record their sessions and mix them with analogue outboard, leaving the sum in the digital domain. We firmly believe that this is the best of both world.